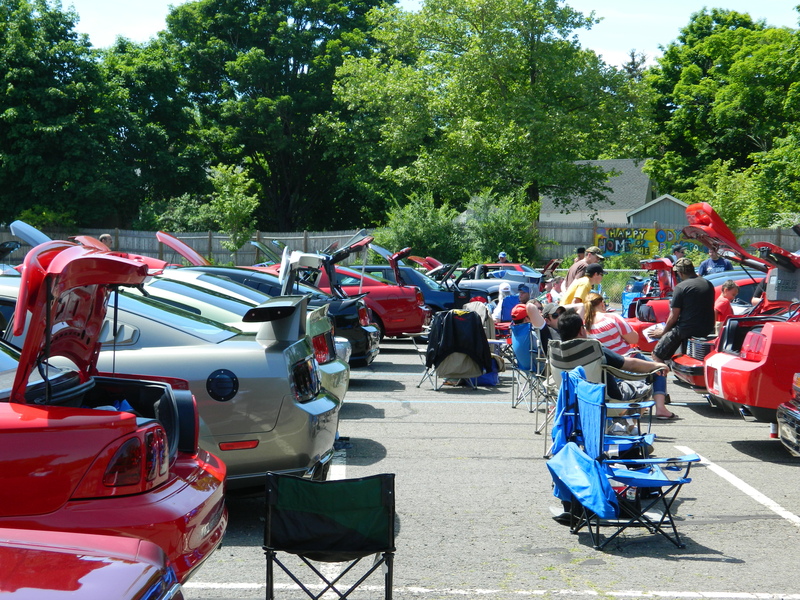 Mustang lovers gathered on June 1 in Manchester, Connecticut for a spring Mustang Show at Mustangs Unlimited where a “1964 and a half” model – the debut year – was among those on display. 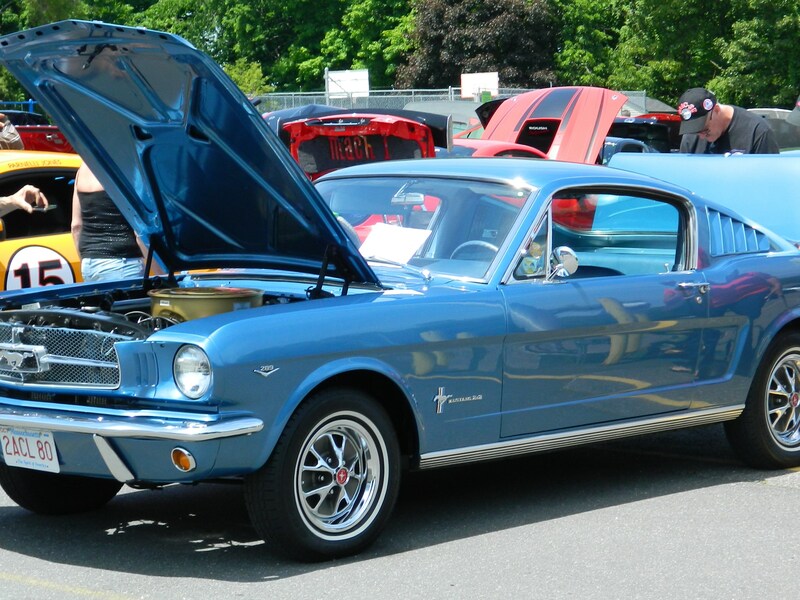 The Manchester venue is just one of car shows across the country where America’s love affair with the original “pony car'”continues as the iconic vehicle marks its 50th anniversary. According to The History Channel (www.history.com/this.day-in-history/fordmustang-debuts-at-theworlds-fair) named for a World War II fighter plane and introduced at the New York World’s Fair on April 17, 1964 by Henry Ford II, the Mustang was an instant hit. Dubbed a “1964 and a half” model, some 22,000 buyers are said to have quickly “snapped up” the sporty looking vehicles with long hoods, short rear decks and powerful engines. With a price tag of about $2,500, by March of 1966 more than a million Mustangs had been sold and the Mustang had made appearances on the silver screen with Hollywood legends like Steve McQueen in the movie “Bullitt.” Today, new Mustangs reportedly have a starting price of approximately $22,500. Symbolized by another American icon of the Wild West, the Mustang horse, it led the way in a line of “pony cars” subsequently produced by other car makers, such as Chevrolet Camaro, Pontiac Firebird and Chrysler Barracuda. Ford Mustang, however, holds the distinction among “pony cars” of continuous yearly production including the 2015 Anniversary Edition. 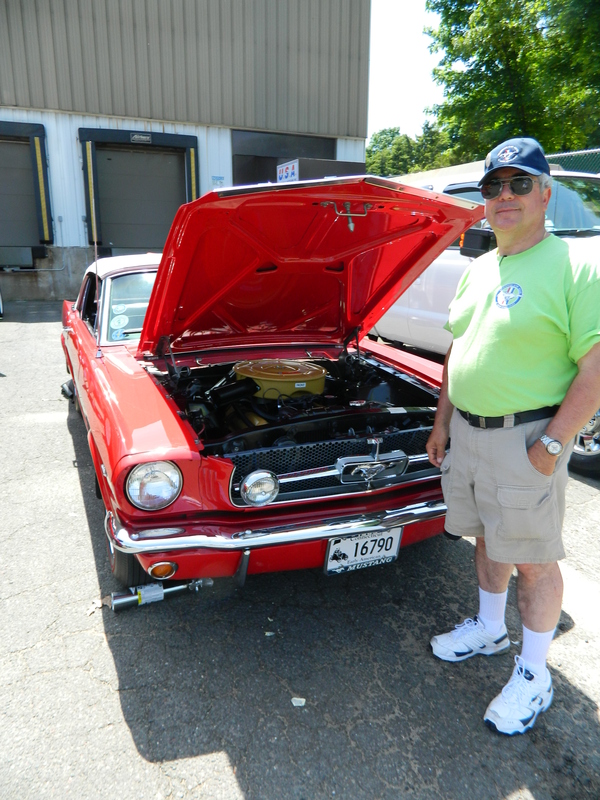 Jack Gahr of Broad Brook, CT retruned from Viet Nam to fulfill his dream of owning a Mustang. 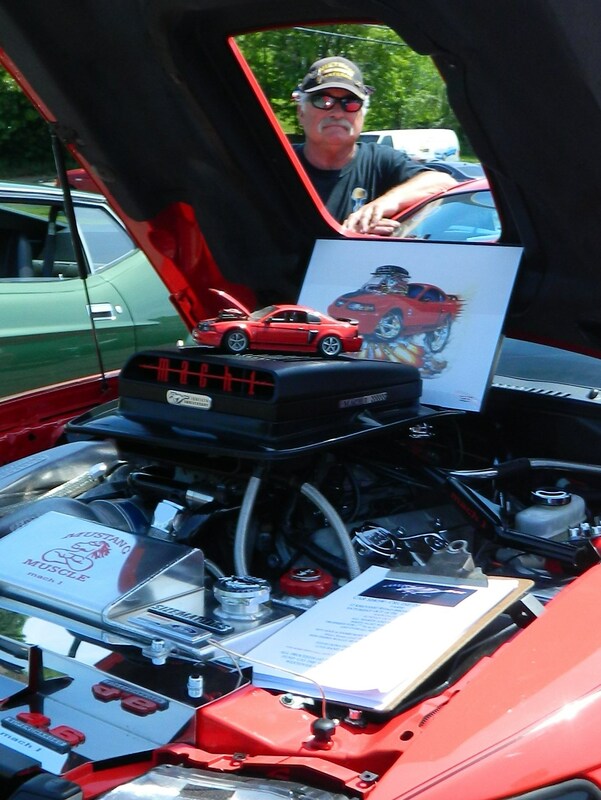 Shown with his 2004 40th Anniversary Limited Edition Ford Mustang Mach 1. It seems that every Mustang lover has a story to tell. One especially touching story belongs to Jack Gahr of Broad Brook, CT. As a young man he enjoyed working on Mustangs with his buddies. Those days were brought to a halt for Gahr by a draft notice. Drafted to serve in the war in Viet Nam, he said he made a promise to himself to buy a Mustang when he returned home. With support from his wife Gail, in the spring of 2005 Gahr said he set out to find the Mustang of his dreams. 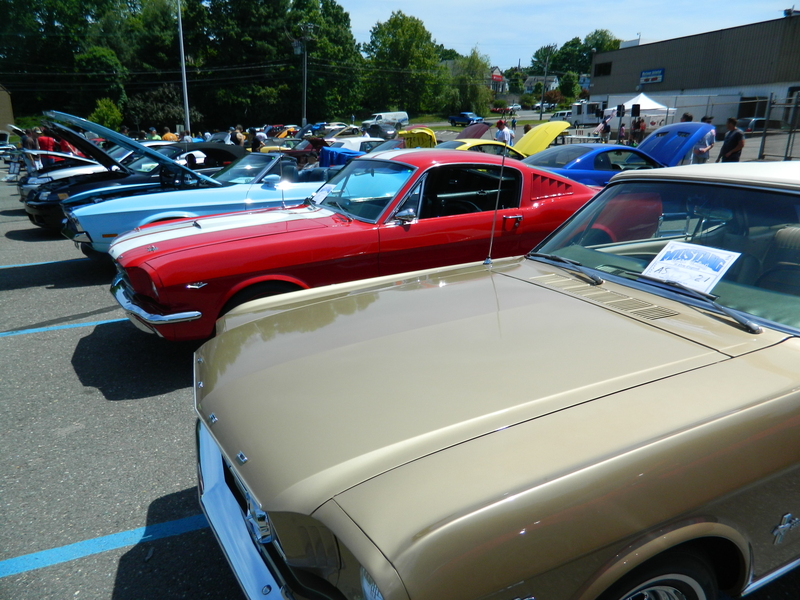 It was during a visit to a local dealership, Ray Seraphin Ford in Vernon, CT., that Gahr came across one tied to an emotional history of its own that pulled at his heart strings. As detailed in a story written by Sarah T. Parker, provided to newsandviewsjb by Gahr, a 2004 Torch Red 40th Anniversary Limited Edition Ford Mustang Mach 1 had been acquired by Seraphin after the original owner, 18-year-old Eric Fries of Ellington, CT, “was killed in a tragic car accident in January of 2005.” Able to relate to how much that Mustang had meant to Eric, Gahr made an offer accompanied with a promise to Eric’s parents to maintain the Mach 1 “in a way that would make their son proud and honor his memory,” wrote Parker. 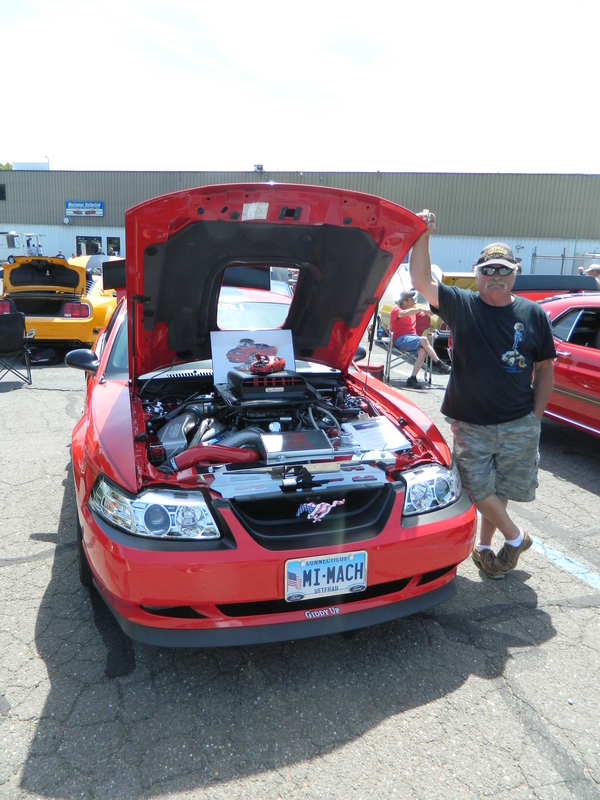 Five years and multiple trophies later, Gahr said at the Manchester show he believes he has honored that promise and plans to carry on doing so – in fact, his Mach 1 took home another first place trophy that day. His dad had a Mustang and Erik Neilsen grew up loving them. 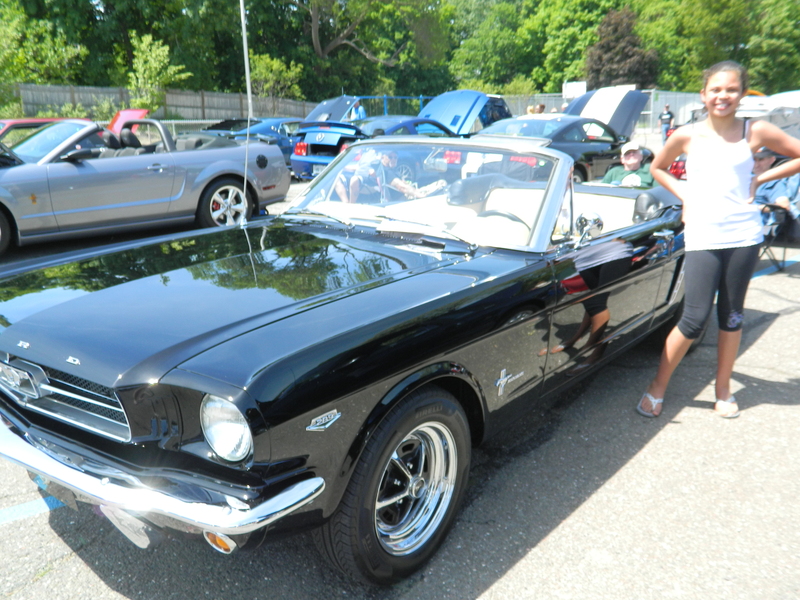 Erik Nielsen of Massachusetts grew up admiring the Mustang his dad owned. “Mustangs had bold, new body styles,” said Neilsen. Over time, he said, they came to be known as “muscle cars” – high performance two door coupes with powerful engines. Nielsen points to the fifty year uninterrupted production of Mustangs as a testament to their endurance. As well, he spoke of the fortitude of Ford Motor Company which in contrast to other car makers, did not accept bail-out money from the government during a recent economic crisis in the American auto industry. “Ford never took a penny,” he said. 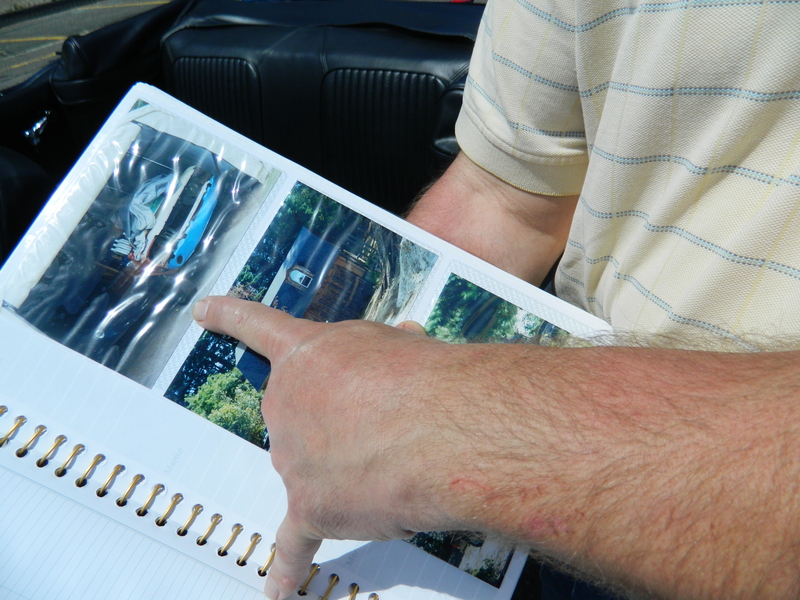 Erik Neilsen shows photos of his friend’s Mustang before restoration. When his friend Michael Rinaldi bought a Mustang in need of restoration, Nielsen said he was happy to help. Five years and thousands of dollars now invested by Rinaldi, looking at the vehicle one would not have a clue the shiny, blue convertible ever looked anything less than showroom condition. 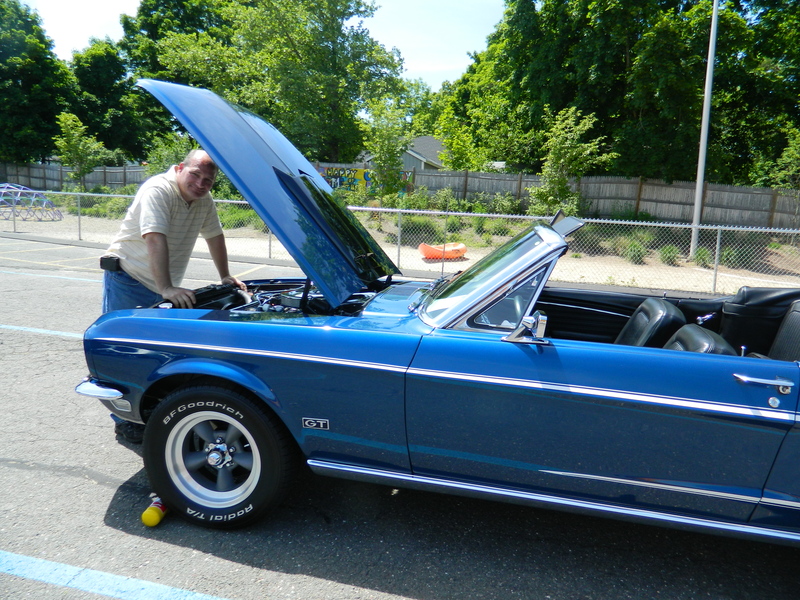 Fil Ferrauto, CT State Director of Mustang Car Club of New England, Inc. pictured with one of four Mustangs he owns. 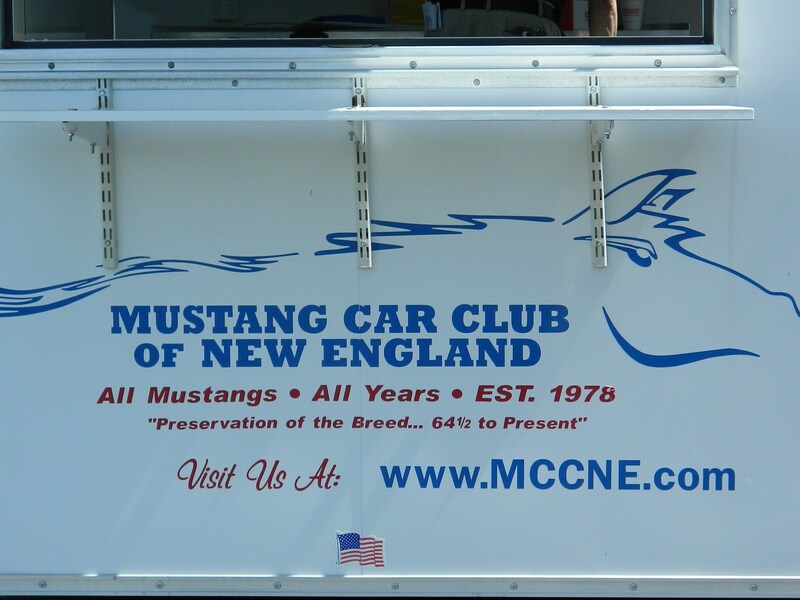 Connecticut State Director of the Mustang Car Club of New England, Inc., that sponsored the Manchester show, Fil Ferrauto of Somers, CT owns four Mustangs – a 1968 convertible, a 1979 Indy pace car, a 1994 and the 2001 California special convertible. “Like apple pie, it’s an American icon. Everybody recognizes the Mustang,” said Ferrauto. “The one I’m driving at the time,” Ferrauto said with a smile. 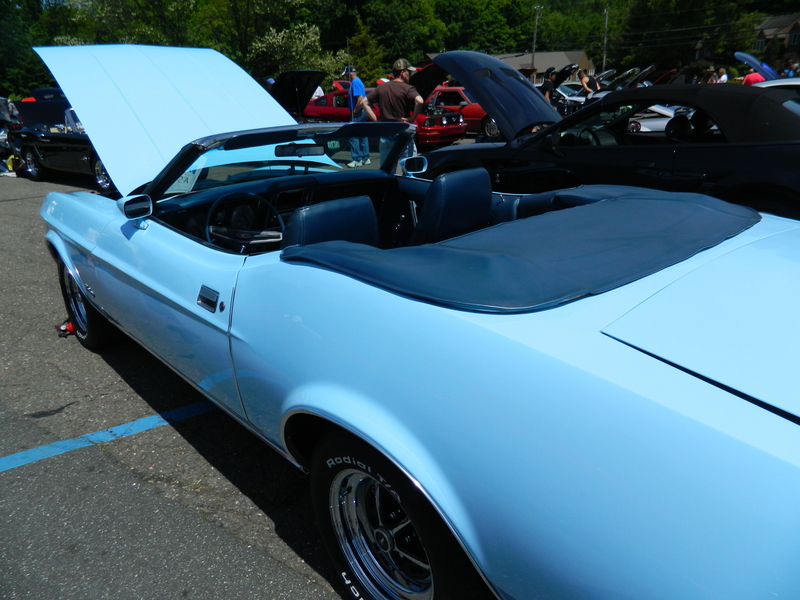 Baby Blue Mustang Convertible – ah, a girl can dream…..